Thousands participated in Susan G. Komen San Diego’s 22nd annual Race for the Cure on Sunday; including some familiar News 8 faces. 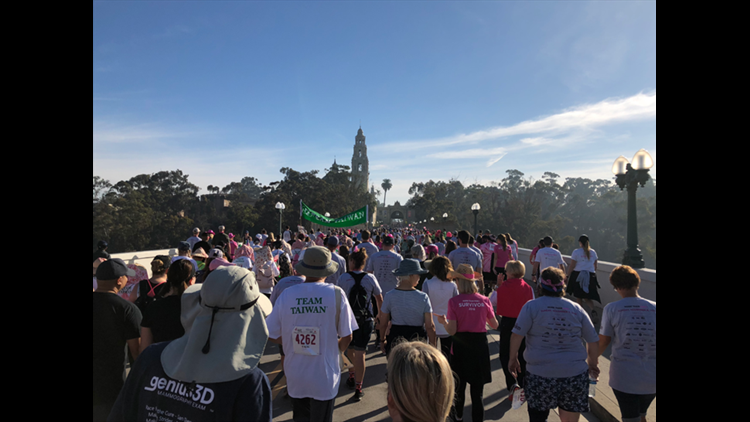 SAN DIEGO (NEWS 8) — Thousands participated in Susan G. Komen San Diego’s 22nd annual Race for the Cure on Sunday; including some familiar News 8 faces. 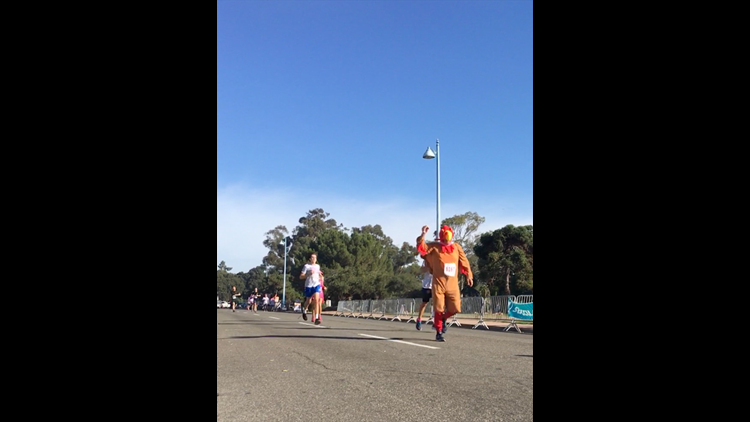 CBS 8 and The CW San Diego were proud presenting sponsors of the event that kicked off at Balboa Park and included 5K and one-mile route options. Women, men, children, dogs - and even someone in a chicken suit - got up bright and early to participate in the walk benefiting Susan G. Komen. 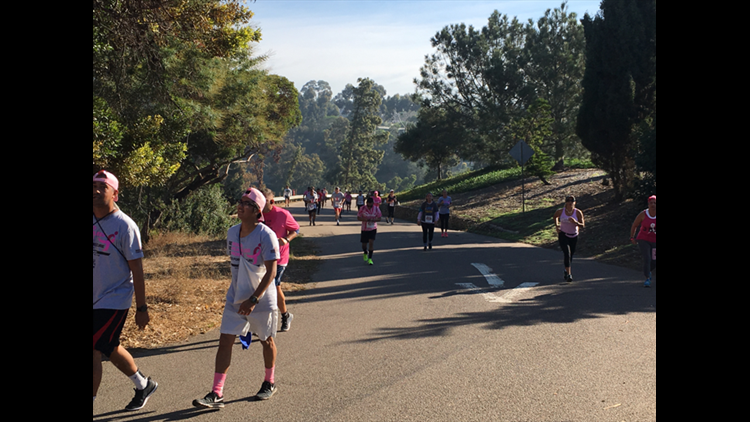 Many racers donned pink outfits, wigs and tutus as they made their way around the west side of Balboa Park along El Prado and up a portion of the 163 freeway. Participants who arrived early perused the vendor expo and the Survivor Village which honored and pampered breast cancer survivors. The race began at 8 a.m. with News 8’s Barbara Lee Edwards giving racers the word to begin at the starting line. 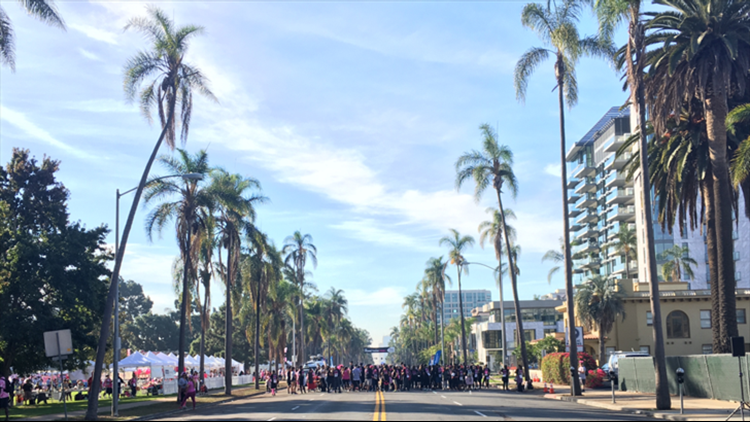 As of Sunday morning, more than 9,000 participants in the race had raised more than $800,000 according to Susan G. Komen San Diego. Donations were still being collected and will be counted through Sunday, November 11when fundraising officially closes. 75 percent of monies raised will remain in San Diego for treatment, diagnostic and support services; while 25 percent is earmarked for global research, including in San Diego, according to Komen. If you weren’t able to make it out for the event you can donate to Susan G. Komen San Diego here. See below for pictures and social posts from this wonderful fundraising race.